Is it Wednesday, August 17th yet? If so you can find me at M. Pax's blog with a guest post on sinkholes. This natural phenomenon is a major feature in Detour, one of four suspenseful tales in Heart Stopper and Other Stories. 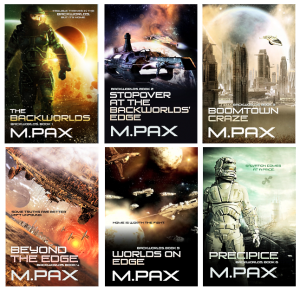 M. Pax is the author of science fiction and fantasy works including the Backworlds and Rifters series. 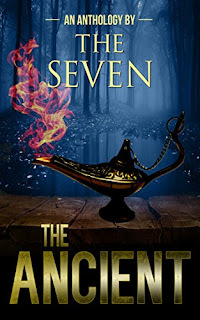 A Wish To Give by Sherry Briscoe: This author turns the tables on the traditional story by giving the mc, Abigail, the task of granting the three wishes. Guess what? It's not as easy as it sounds. Lily and the Lamp by Catherine Valenti: As a mother of two daughters, this one totally freaked me out. Would you bring harm to another's child if it meant saving your own? The Golden Pen by Marlie Harris: A unexpected package arrives for Laura Stanley. She will make a wish most writers have, but the consequences, oh!, the consequences. Creeptastic. A Lauder Way by Rochelle Cunningham: Romance novelist Grace and her niece, Morgan, spend an amazing afternoon in Grandma Lauder's 1920's house. This charming story has a strong Jumanji vibe. Multiplier, A Ridge Falls Story, by Troy Lambert: In a potato cellar in Idaho, young Ferris Wilson finds a lamp whose genie takes him to a castle. Years later, as ruler of the realm, dark forces threaten to destroy Ferris's ideal world. Great read. Reaction by Bobbi Carol: Liz lost Daniel, the love of her life, five years ago, but at least she has Jeremy, their son. Then she unknowingly releases a ghul, a tiny man, from a rock near Daniel's grave. He gives her three stones that will each grant a wish, but here's the creative catch: the opposite of her wish will happen somewhere else. Oh, dear! Smokeless Flame by Loni Townsend: Inside a mountain, a team finds a lamp while investigating a strangely perfect, dome-shaped cave with walls covered in mysterious pictures of magicians and mythical creatures. Who will make it out alive? This one has a cool Indian Jones feel. Are you a short story writer or reader? Any anthologies to recommend? 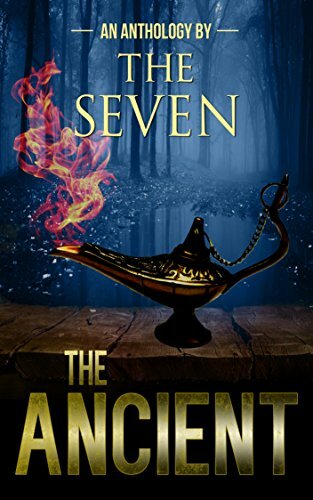 I love the genie lamp on the cover! Congrats to all the authors in the anthology. I'm getting into short stories. I definitely need to read more of them. Thank you for sharing this with us. Also, thank you for your comment and support on my latest post, I appreciate it. I just started Detour yesterday...I need to go read this post. Hopefully it doesn't have spoilers? I'm assuming not! I just read a short story anthology, Wastelands 2, that includes a huge number of post-apocalypse stories. 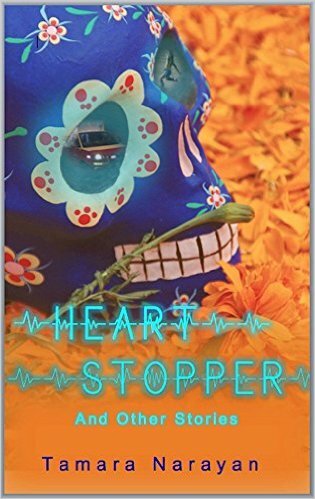 Usually, that's not my genre, but I kind of became hooked on a few of the stories, including one from blogger Milo James Fowler. I love being able to get into a story for one short sitting. Hey, that does sound cool. I remember reading and enjoying The Ancient. I used to only read short stories by Stephen King, Clive Barker, and Margaret Atwood, but in the past few years I've been picking up so many anthologies.